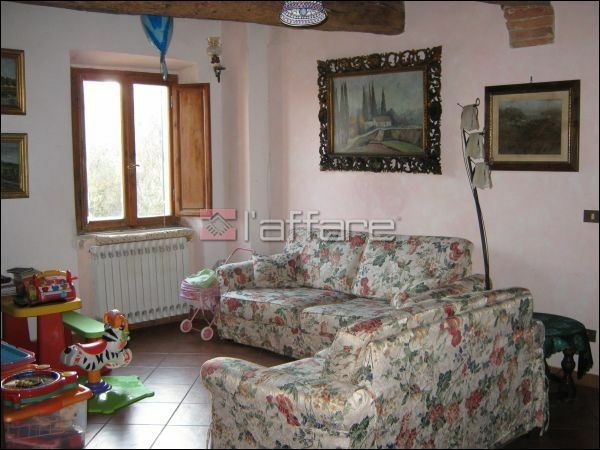 FAUGLIA Farmhouse of 600 SQM. and land of 3,2 hectares, in part olive grove, swimming pool and 2 outbuildings. The house is currently split into 5 independent apartments, beautifully finished and fully renovated in rustic style with terracotta floors and traditional ceilings of beams and terra cotta. Also ideal as first residence multi-family or single-family, being immersed in the typical tuscan countryside and 5 min. from the exit of the SS FI.PI.THEM. Lavoria. Information in the agency.